Lego Conventions are awesome. You get a few days to hang out with other builders and Lego fans. You can walk up to a random person at a convention with the most obscure Lego-related problem, and they will understand what you're talking about. Kindred spirits. There are fun activities, building events, free Lego. Quite a bit of drinking, if that's your kind of thing (and you're of age). So, if you have a week off and a few hundred dollars, a Lego convention is a fun, social, creative and freaking enlightening way to spend it. I've attended BrickCon Seatle 2013, BrickFair NJ 2014, BrickWorld Chicago 2015 and BrickFair VA 2012, 2013 and 2014. Not as many as some people, but enough to thoroughly understand the basics. It depends on where you live and which convention your friends are going to, if you have friends in the community. 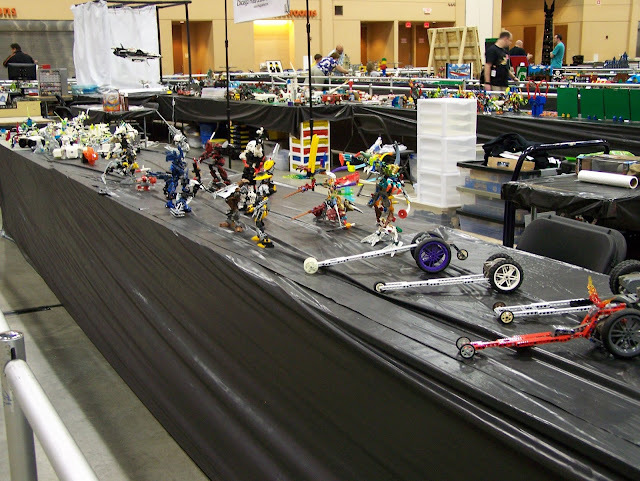 Lego conventions differ vastly in size, there are a few large cons and many smaller cons. I recommend going to your closest small con and the closest of the three top cons. So for instance, if you live in New Jersey, it would make sense to attend both BrickFair NJ and BrickFair VA. 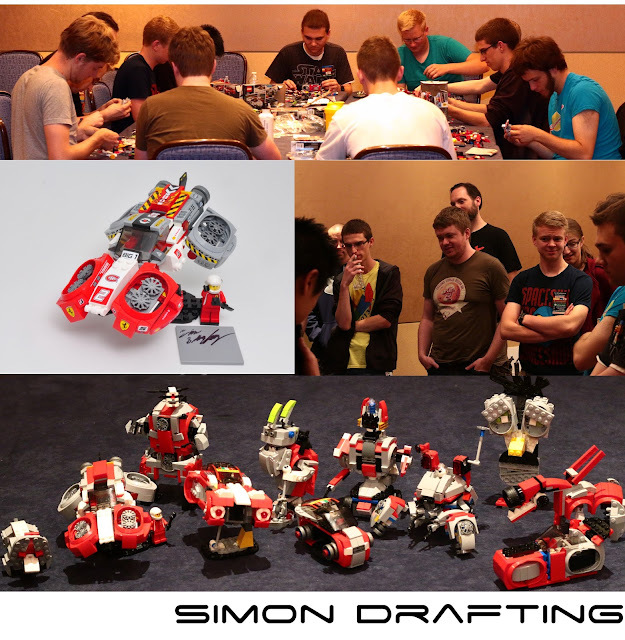 Attending a local con will help you meet local Lego enthusiasts, and going to a large con will give you a sense of the scope and abilities of the national community. How much Lego are you bringing to display? If it's not too far away, you're bring a lot of stuff and you have a low budget there's no question that a car is better. If it's far away, you're only bringing a few things, and you have some money to spend then flying is undeniably the better choice. However, most likely it's a messy combination of these three and other variables. Here are a few real life plans that have worked well. Bring a few models, fly in. Check one or two bags full of builds, fly in. Bring as much stuff as you want, drive in (hopefully with friends), and consider staying at a cheaper hotel (likely with the same friends). If you live really nearby, you don't need to pay for anything other than registration. However, if you don't have a car or want to maximize hangout time, you should consider staying at the hotel anyway. But, if you live in easy driving distance of a Lego convention, I highly recommend that you go, regardless of any other factors. Also, consider inviting a couple friends over to your house to build and hang out after the con. For hotels, sightseeing, collaborations, going out to eat and almost any other activity you'll benefit vastly from coordinating with friends. This requires communication, so make sure you keep up with everyone's plans leading up to the con and share cellphone numbers once you get there. Cellphone numbers are particularly crucial for taking part in spur of the moment food runs, shopping trips or fun stuff. At every major con, the convention has a deal with the closest hotel, one in easy walking distance. The majority of attendees will stay at this hotel. So in a way, the hotel becomes an extension of the convention center, and you'll run into to people you know at the complimentary breakfast or (more likely) the hotel bar. However, generally this is not the cheapest hotel in the area. If you have brought your car or rented a car and don't mind driving back and forth from your hotel to the convention center then you should definitely consider other options. The problem with staying at alternative hotels is that it can interfere with the next, and likely most critical step; finding roommates. I can't really emphasize enough how important it is to find roommates for a convention. You end up paying a quarter of the price, for little or no inconvenience. If anything, having roommates should improve your convention experience, as you now know a few more people and they know you. Essentially, any hotel which you can find roommates for is a good hotel and any hotel where you can't is a bad one. First, talk to anyone who you know is going and ask them if they have a room. If they say yes, ask if they have space for one more. If they don't, ask if they'd like to stay in your room if you got one. Either way you now have your first roommate. Keep them updated on how much space is left in your room and ask if any of their friends need a room. If that fails, I'm not sure what you should do, but I would message the people running the convention directly and/or post publicly on some board related to the convention. Or, honestly, message me and I should be able to at least point you in the right direction. If you're travelling a thousand miles you might as well stay a couple extra days and see the sights. BrickCon Seatle, BrickFair Virginia and BrickWorld Chicago are all near major cities with plenty to see. Try to coordinate with friends and go sightseeing together. It's better policy to go sightseeing before the convention than afterwards, as you will likely be exhausted and sleep deprived by the end of the con. That said, I generally arrive Wednesday and leave the following Tuesday, as these are two of the cheapest days to fly. If you are driving you're probably better off leaving Sunday night or Monday morning. Cons are what you make of them. If you expect fun to be handed to you on a silver platter, you may not have as much fun as you can... Like a lot of things in life, you only get out what you put in. Figure out what you like to do, and do it. Don't be afraid to make up your own event or game and invite people to play. Down time between events? Bring even non-Lego card or board games. This is your time to do whatever you want. Socialize with other builders, play games, or do nothing and talk to no one and just marvel at builds. Remember that this is your convention as much as anybody's, so it's up to you to make sure you enjoy it. Joining a collaboration is hands-down the best way of making friends. Working towards a common goal and sharing credit for a serious display is a very bonding experience. Either look for a list of open collaboration or find a closed one and request to join it. I used to be really competitive about winning trophies and games, but I've eventually realized that they are not really meant to be competitive. So basically, if you win; all well and good, but if you lose; it doesn't really mean anything. However, I do very much encourage you to vote for your favorite models. It's fun and it's a good exercise in analysis. Either leave space in your luggage or bring builds that you're willing to part with. As a gift to new, or old friends, or possibly trading for something interesting built by someone else. It's a good idea to bring a box of Ziploc bags to hold all the miscellaneous Lego that you will buy and receive. Some people just pack up whatever Lego they get and ship it to themselves via USPS. A USPS Priority Mail Flat Rate Padded Envelope can fit a lot of Lego, and only costs $6.10 to ship anywhere in the USA. If you have much more than that, consider buying a cheap bag and checking it on your way home. The best way to prevent catastrophic damage is to build sturdy models, that makes packing and set-up much easier. Don't ship or check any fragile builds, they are much better in your carry-on. 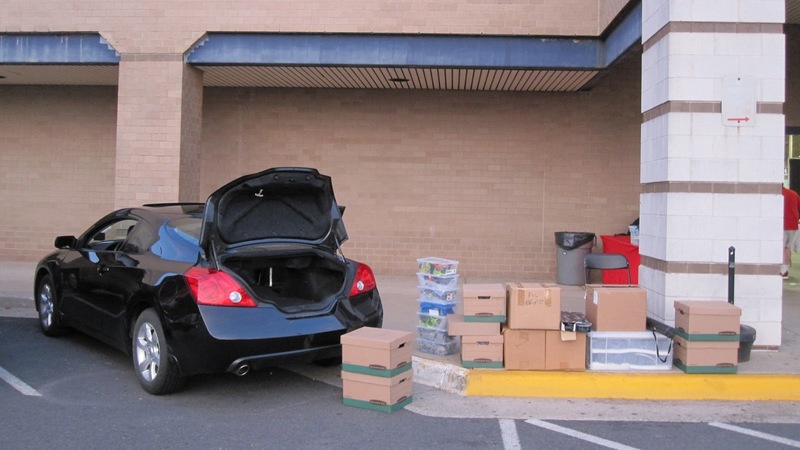 If you are driving packing is much easier. (BLaB should have a whole tutorial on how to pack models securely, but I don't think I'm experienced enough to write it.) But, I will say that bubblewrap is your friend. If you are looking for rare customs or deals on brick, hit the vendors early. A lot of good stuff sells out between Thursday and Saturday. There's a lot of bartering a cons, so at least ask for a lower price. Take pictures Friday or Saturday night. Some people don't finish setting up until the night before, and most people tear down almost instantly after the doors close Sunday. The different conventions have various deadlines pertaining to getting table space, getting a full goody bag, registering for games and other things. If you let these slip you are going to have an inferior convention experience, or not have an experience at all. Convention registration for BrickWorld closes a month before the convention itself, but BrickFair has no such deadline. Because I was used to BrickFair, I narrowly avoided missing out on BrickWorld entirely. So be vigilant.